EAT WELL, SMILE OFTEN. 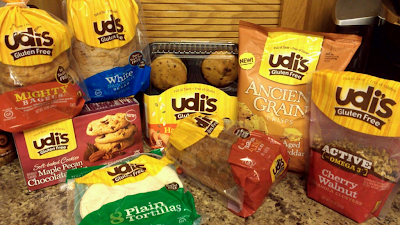 Udi's mission is to show you a new way to approach gluten free living. Don't waste another bite on bland, crumbly, and tasteless food. They create delicious products that will fill your stomach and warm your soul. What is your favorite gluten-free food? It's always great when we can make eating healthy food EXCITING for our kids. Boy, I'd love some of these to make my lunches next week easier! Hmm let's see, my favorite GF food. Maybe veggies and meat? We love Udis! I didn't know about those cookies, so now I MUST find them! Yum! I love the Udi's cookies and my kids do too! Udi's understands that taste is super important! Love them!